Hydraulic and hydrology for environmental protection, hazard assessment, resources management and effective infrastructures design. Flood hazard mapping and management planning, riverine, pluvial and coastal. 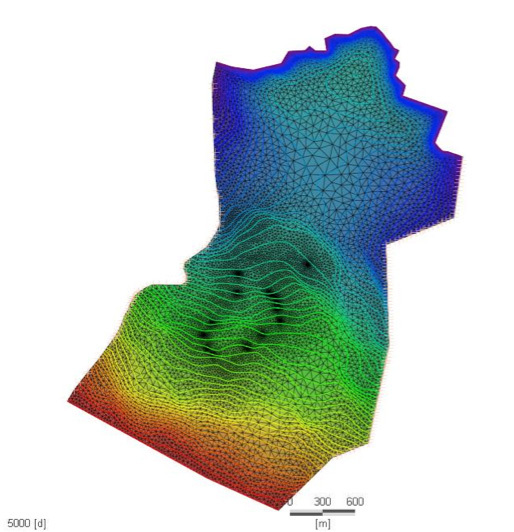 Surface water hydraulic, quality and sediment modeling, erosion. Design of water supply, sewage networks, sustainable urban drainage systems, water-efficient irrigation. GECOsistema provides turnkey solutions for hydrological and hydraulic studies, from field surveys to reporting and customer assistance in administrative procedures. GECOsistema’s flood (fluvial, pluvial and coastal) maps (SMARTFLOOD and URBAN_SMARTFLOOD) are used by insurances, public agencies, private investors to visualise, assess and understand potential flood risk. Using state of art simulation software and accurate satellite data (Sentinel 2), topographical data, we can generate flood maps and risk datasets for most countries around the world. Fire risk or landslide risk mapping for planning purposes can benefit from availability of open spatial data from coarse to medium resolution (Copernicus Sentinel, soil use, soil cover, wind speed, digital elevation models, landslide catalogs); GECOsistema uses both free available codes for hazard mapping and develops original GIS based and multicriteria approaches. Understanding groundwater flow is key of several fields of applications, including underground excavations, reclamation of contaminated sites including pump and treat systems, confinement of hazardous waste and landfills, design of wells and protection of groundwater resources. GECOsistema’s experience in groundwater flow and solute transport is based on a long list of projects undertaken in several hydrogeological contexts in Italy and other countries. We have tackled confined and unconfined problems in riverine alluvial fans, moderate and low permeability sedimentary bodies, coastal aquifers, fractured systems, and artificial porous media such as debris and waste deposits. Water quality modeling is a relevant issue for industrial, rural, and urban discharges in surface water bodies (river, lake, estuarine, sea, off-shore); an assessment being needed for design, remediation or EIA purposes. GECOsistema’s catchment modelling provides water quality modelling solutions from the river basin district to the urban catchment to ensure any discharges are compliant with environmental regulations; to identify integrated pollution management solutions and to support the development and implementation of catchment management plans. We use a comprehensive suite of modelling tools which integrate demand for potable water, its abstraction and how this translates through to point source and diffuse pollution impacts from both urban and non-urban sources to assess environmental impacts in receiving waters. GECOsistema’s experience in surface water quality and hydraulic modeling is documented by a long list of projects undertaken in several contexts in Italy and other countries. We have tackled problems in riverine, coastal and transition areas.